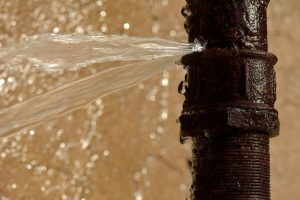 Common Plumbing Emergencies to Avoid | Reliance Plumbing Sewer & Drainage, Inc. This is, arguably, one of the worst plumbing emergencies to deal with for a homeowner, and one we get called about the most often. Unfortunately this not only gives you one less toilet to use in your home, but there is a potential for an unhygienic situation as well, not to mention severe water damage to the flooring and on-floor cabinets in your bathroom. If you are there when your toilet starts overflowing, we urge you to act quickly—turn off the valve on the feed line. If there is no valve, you can open up the top of the toilet, and rig the chain to shut off the flow of water. Call our plumbers right away, and put down towels to absorb as much water as you can to prevent further damage. Please resist the temptation to tear apart your pipes yourself! The best thing you can do in this case is avoid pouring any more water down the drain, and give our plumbers a call. If you dropped your ring down a sink drain, it likely landed in the p-trap. This is, fortunately, an accessible place for our plumbers to reach and we’ll be happy to retrieve your valuable belonging for you. This is typically the result of a frozen pipe. As it thaws, the pressure inside the pipe changes, and as a result causes the plumbing to crack until it bursts. Make sure, if this happens, that you know where the shut off valve is for the water main so you can shut off the water to prevent further flooding. Then, call our plumbers. There are methods that homeowners try to thaw their own frozen pipes, but we can’t recommend them in good conscious. Not only can a burst pipe cause significant damage to your home, but it can injure you if you’re anywhere near it when it breaks. Have you notices multiple drains and fixtures in your home suddenly seem blocked or have slow drainage? The problem is likely deep—down in your sewer line. Before this situation worsens and you begin seeing sewage back up into these drains, contact our professional plumbers, and cease use of your plumbing appliances and fixtures as much as possible. These are just a few of the possible plumbing emergencies you may face during your homeownership. For more plumbing tips or advice, please don’t hesitate to reach out to our team. Need an emergency plumber in Evanston, IL? For emergency services, installations, or maintenance contact Reliance Plumbing Sewer & Drainage, Inc. Our knowledgeable plumbers serve the North Shore and Northwest Chicago suburbs. Rely on Reliance!